If your talent, passion and goals are in music, theatre or audio technology, you will find your place here at Clemson. Your course of study, education and professional training will offer you the time and opportunity to explore your path — whether it is on stage, behind the scenes or in teaching or administration. As a performing arts major, you will receive the expert instruction and hands-on experience you need to move ahead in your career and engage in your craft. Come reach your potential and push your limits as part of Clemson’s collaborative community of professors, students and professional artists. The Brooks Center serves as a professional roadhouse, recital hall, classroom and laboratory — all rolled into one beautiful performing arts venue. Regardless of whether your focus is music, theatre or audio technology, you’ll study and gain experience in all three areas. A degree in production studies in performing arts will prepare you for a career in many aspects of the arts, from behind the scenes to center stage. Clemson’s performing arts faculty are nationally recognized for their work and deeply involved in their professional fields. 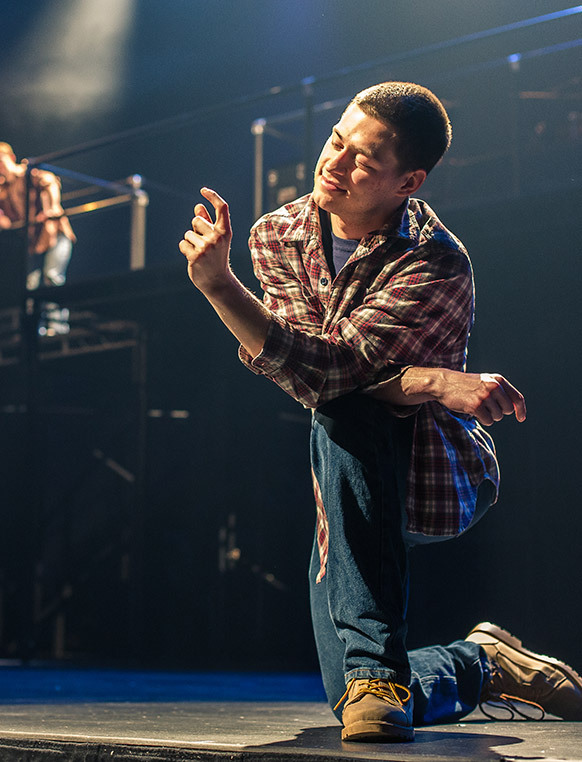 You’ll have opportunities to study and work alongside visiting performers and professionals from nationally touring productions. Whether you aspire to a career in audio, music or theatre, you’ll enroll in a set of core classes that give you the tools to be successful in a wide variety of performing arts professions. Our customized course of study, culture of performance excellence and tradition of small class size combine to make you a vital partner in your education. Using the Brooks Theatre as your laboratory, you’ll learn about recording techniques, live sound reinforcement and music technology. You’ll gain professional experience as you record concerts and run sound for events and shows. In your senior year, you’ll produce a CD of your own work. Tailor your studies to suit your needs and aspirations. Study performance, music theory, music history, music technology and arts administration. Choose from more than 20 performing ensembles to develop your talent and gain experience. Take advantage of private lessons available to every vocal student and instrumentalist. Our actors design, our writers act and our directors write. So whether you decide to specialize in writing, design, acting or directing, you'll know and understand all aspects of theatre. You’ll also get to experience a wide range of performances and plays — from classical to contemporary — emphasizing both the production values and thematic/structural diversity of new works. Performing Arts: Audio Technology Concentration, B.A. Performing Arts: Music Concentration, B.A. Performing Arts: Theatre Concentration, B.A. Majoring in performing arts at Clemson makes the stage your classroom. 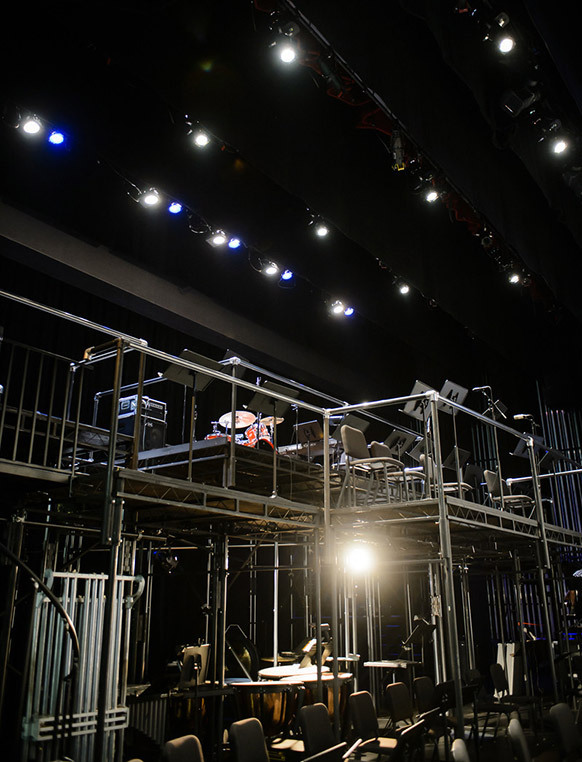 But offstage, Clemson students get numerous opportunities to build sets, participate in internships, join ensembles and expand their range with vocal and acting coaches. 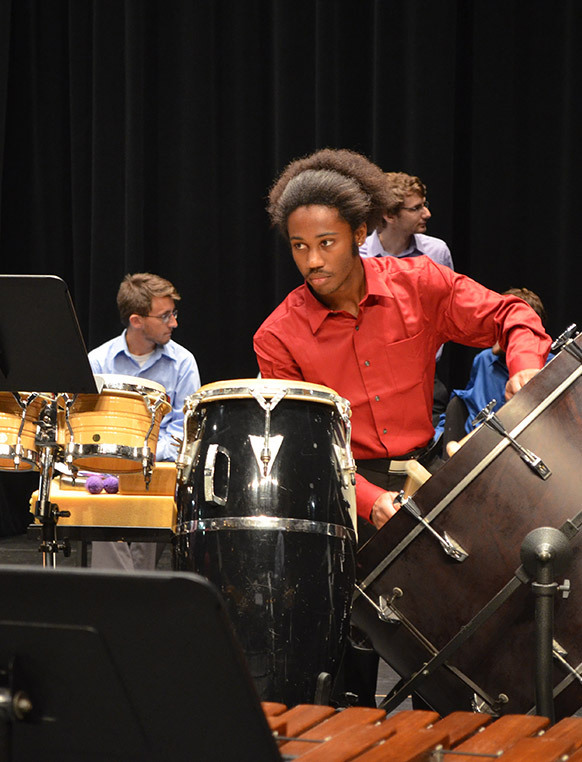 Let some of our students tell you why they value their Clemson performing arts education. 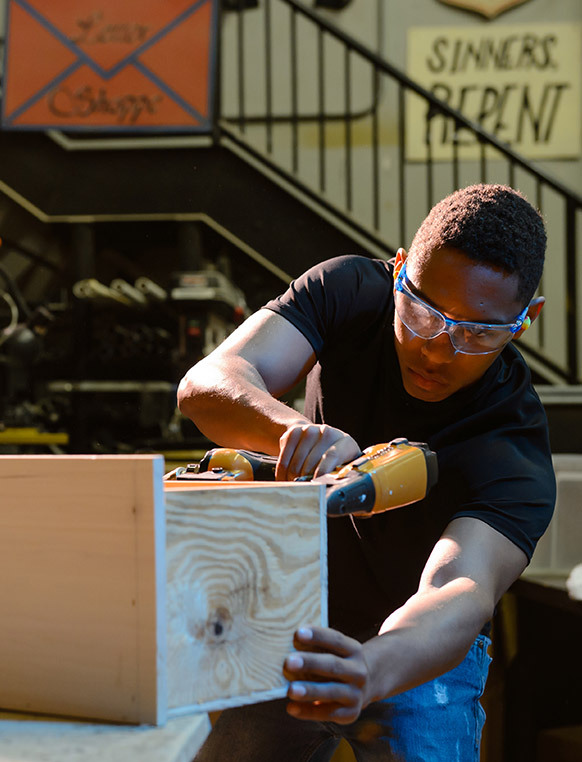 The Brooks Center for the Performing Arts is a living performing arts laboratory where visiting artists and industry professionals provide hands-on, behind-the-scenes learning experiences for all performing arts students. 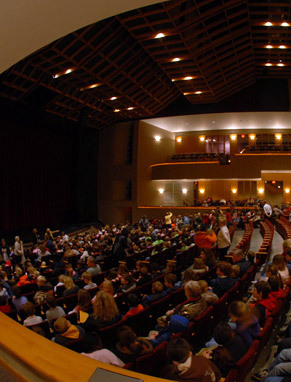 The Brooks Center includes a 968-seat proscenium theatre that serves as the main stage, a 100-seat black box theatre and a 100-seat recital room. National tours of Hairspray, Avenue Q and Spamalot have recently performed here. With more than 25 ensembles to choose from, we have a place for you to express your passion for performing. Opportunities include choral ensembles, instrumental music ensembles, the Clemson Players, Tiger Band and the University Dance Company. The Department of Performing Arts has partnerships with arts organizations that offer internships to performing arts students. These include the Eugene O’Neill Theatre Center, Spoleto Festival USA, Walt Disney Company and Worklight Productions. 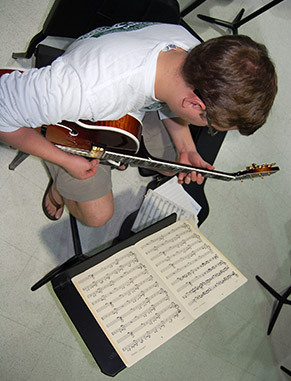 The Department of Performing Arts offers private music lessons to all students attending Clemson. Private instruction is offered in a wide variety of instruments as well as voice.